One of the most enjoyable cables within my audio system. Recently it seems most of the reviews that come my way are cables, which is perfectly fine with me because without them a playback system is essentially useless. Further, the substantial differences between both cables in the same price range, not to mention those from other ranges, make the challenges of evaluation both meaningful and worthwhile in my mind. This delight continues in my most recent review of the Extreme Series by Coincident Speaker Technology. The company has been in the audiophile industry for quite a number of years. Israel Blume, President of the company, founded it over 22 years ago way back in 1993. Over the years, this highly experienced company based in Ontario, Canada, has won many awards including one from Enjoy the Music.com this year. So it was a great pleasure to be offered the chance to review their Extreme Series over the last few months. Normally there is quite a bit of work to setting up and breaking in new cables. 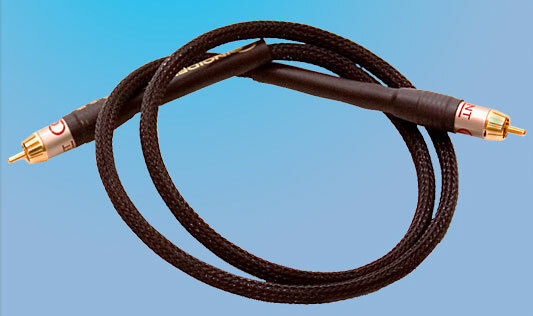 Although the actual connection within the system do not take a great deal of time, the effort can be somewhat daunting depending on the cables and how flexible they are. Connectors and cable length needs to be taken into consideration. If that isn't enough, it normally takes several hundred hours for the cables to reach their full potential, during which time it is extremely difficult to audition or form real opinions on the cables as they tend to change in performance and characteristics. That said, during the initial discussions with Israel he was able to ship me cables already broken in, which greatly decreased my overall setup and break-in time. In fact, with the cables broken in prior to arrival and the fact that connections were both solid and extremely precise, while the cables remained extremely flexible, highly reduced my time to begin auditioning. The normal 200 hours decreased to somewhere around 50 including a certain amount of getting accustom to the cables themselves. Once everything had settled down into my system, it became apparent that these cables were both well-made and well designed. The connections, as noted earlier, were extremely tight. The cables themselves were expertly crafted and built to last. Additionally, the material was easy to position and one could not help but notice the attention to detail including where the cable ends were concerned. Even the most amazingly designed and built cable does not mean it will perform at the same level and meet or even exceed one's expectations. However, in the case of these cables there should not be any worry about the ability for them to perform at a level one might expect from cables of this caliber and price. Firstly, the Coincident Speaker Technology Extreme power cords definitely lowered the noise floor on my playback system. Overall, they generally increased the fidelity of the components without decreasing their performance. In fact, on the turntable, the difference was extremely noticeable. They allowed for a far more detailed playback by decreasing external power influences that normally plague any system. 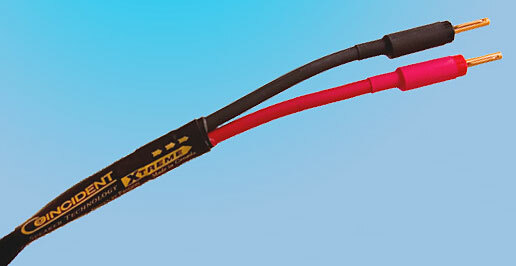 This formed the basis to evaluate the Extreme IC RCA analog phono cables. Against the more dynamic and increased range, the phono cables were extremely suited to handle enhanced playback requirements. After many different albums, including favorites such as Pink Floyd's Dark Side of the Moon, Miles Davis's Kind of Blues, and Rimsey-Korsakov's Scheherazade, their abilities were tested in a multitude of ways over the weeks of review. Generally, the playback seemed neutral with a slightly decreased upper treble and lower bass extension. However, this only became apparent during times of vastly complex material. Less dynamic material yielded far better results, and certainly met any expectation I might have determined prior to my evaluation. In fact the cable certainly scored big amongst the best within its range on material such as Supertramp's Crime Of the Century. 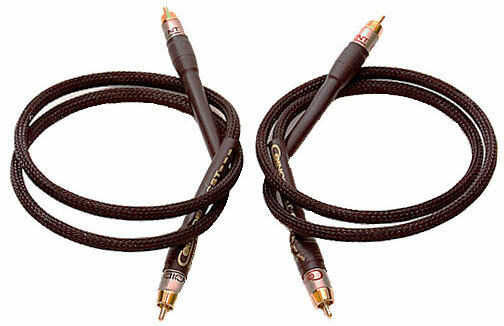 The digital cable was certainly on par with the phono cables' performance. The level of performance across the same range of material was virtually identical, though perhaps for different reasons. While there was slightly more overall breathe of sound, the detail and precision decreased slightly against cables costing many times more their price. Again, this tended to occur during more challenging material and only very slightly detracted from overall enjoyment, which when one knows exactly what to listen for within the passages. 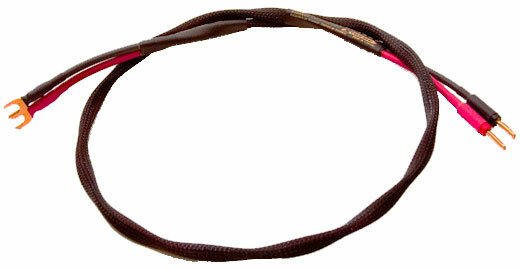 The remaining cables, both the TRS Extreme speaker cable and audio interconnects, for the purpose of this review, have been grouped together. They not only formed the backbone of the review, but their performance was extremely evenly matched. In fact, if there were stars of the review these would have been them. They certainly were up to the challenge of reproducing very complex and challenging passages. If anything, there may be a slight deviation in the form of some omission both at the extremely high treble and low bass. Additionally, there was a slight softness which, although not a detraction from their performance, was definitely present. In many systems this might be a quality that the listener would welcome because it did make the cables far more forgiving than many others. Sometimes cables can cause an 'etching' in sound that while at first seems like higher details, it becomes annoying over time. I'll takes hour after hour of musical enjoyment to my ears versus moments of joy offset by headaches caused by aural pain. Coincident Speaker Technology's cables are definitely a player within their price range. They performed extremely well and certainly did not disappoint in their overall abilities to reproduce material. Within their price point there are quite a number of extremely capable challengers, but it would be a mistake not to put these cables against any you might be considering for your system. Build quality is exceptional at this price level and proves that the company truly cares about manufacturing exceptional products that should function well for many years. 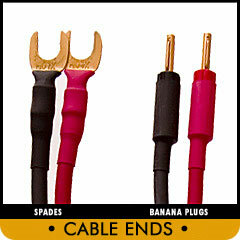 If you desire your music system to reproduce, well, music, than you really should give these cables a try. With the Coincident Speaker Technology cables within my system, I could enjoy many hours of musical bliss. They are the most enjoyable cables I've had within my review system in quite some time.